When you went looking for a job, you most likely went through some kind of interview process. After all, the company didn't know you from Adam. They needed to make sure you were a good "fit" for the company. The same should happen before you hire a real estate agent. When interviewing various agents, ask them about these particular areas of their business so that you can make an informed decision. The first question you're going to want to ask your Tucson real estate agent is how long they've been in the business. More specifically, how long have they been working in the Tucson real estate market? Markets vary from state to state and city to city. However, just because they're new doesn't necessarily mean you should write them off completely. Brand new agents might have more time to spend on you than busier, more "seasoned" agents. If they're a new agent just starting out, ask them if anyone's mentoring them. How often are they in touch with their mentors? How quickly do their mentors get back to them? If you feel comfortable with this person, it might be worth giving them a chance. After you check out their level of experience, ask your Tuscon real estate agent for references from past clients. Ask if you can contact these clients to speak to them in person. Visit their website to read reviews. Make sure the people leaving the reviews aren't relatives of the agent so as not to appear biased. Next, ask your Tucson real estate agent how they plan on marketing your home. Does he/she incorporate social media marketing into the mix? 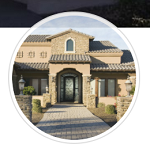 Will they hire a professional photographer to take photos of your property for online marketing? When will they host the first open house? What changes do they think you should make (if any) before you put your home on the market in order to facilitate a successful sale? The more information they give you, the more likely you'll be putting a "sold" sign in front of your yard soon. An agent's fee varies from 1-4% per sale, per agent. In Arizona, sellers may be quoted 6-7% for the total commission. Sellers pay both agents' commissions. However, these fees may be negotiated down to 5-6% in some cases. Typically, this fee is included in the price of the home. 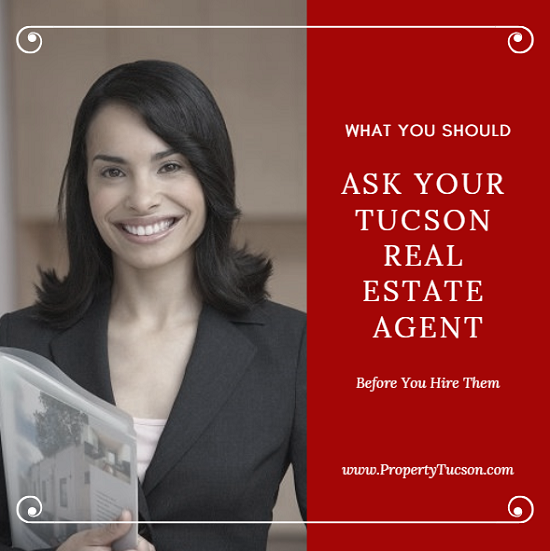 Ask your Tucson real estate agent what they expect to be paid for their part of the real estate commission. Communication means different things to different people. So, you need to ask your Tucson real estate agent what method they use and how often they plan on contacting you. Then, let them know what your expectations are. For example, you want weekly updates. A text or email will suffice. Or you might prefer twice weekly updates via a phone call. Make sure they are willing to accommodate your requests. If not, move on to another agent. Finally, ask them if there is anything else they think you should know about that you didn't ask? You want an agent that clearly considers this question before they answer. Also, it helps you determine whether or not they've paid attention to what you've been saying during your interview. If you're interested in selling your Tucson home, please feel free to contact me. I'm always happy to talk to you.